Restaurants are one of the most difficult businesses to manage. You need to stay on top of reservations, make sure your menus are up to date, and ensure the kitchen runs smoothly to boot. 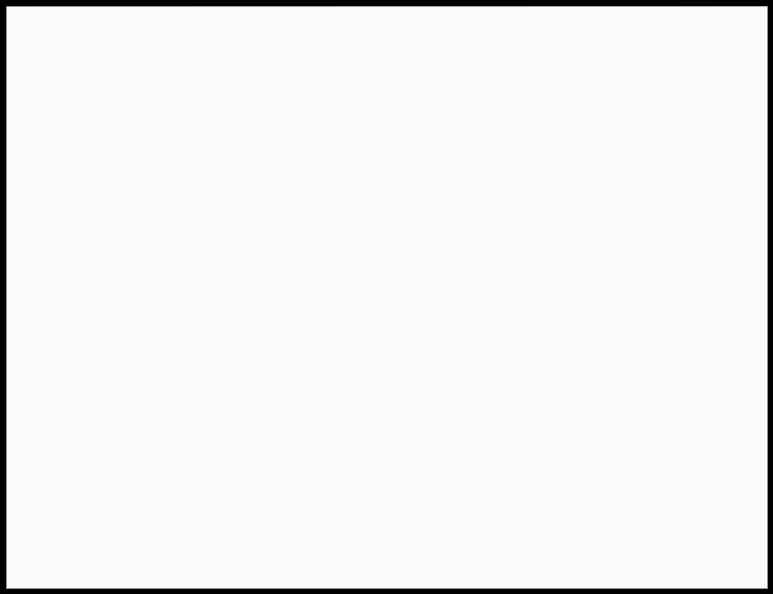 With all that work, it’s no wonder some only have a rudimentary (or non-existent) WordPress restaurant website. If your establishment still doesn’t have an online presence, WordPress can help! It enables you to create advanced and stylish websites easily, even if you don’t have a background in web development or design. With a helpful guide such as this, you’ll be up and running in no time. In this piece, we’ll take you through the basics of what makes for a good WordPress restaurant website, then show you the four key steps to putting one together. Bon appetit! What makes for a good restaurant website? A good restaurant website should be two things – informative and usable. Plenty of sites focus too much on their design, which isn’t necessarily a bad thing – as long as you also put the same level of effort into your content. In most cases, when someone looks for a restaurant’s website, they’re hoping to get to know your establishment better. For example, they’re wondering what kind of food you serve, your opening times, and how clean your place is – these are all aspects your website should seek to provide. Your site shouldn’t be a pain for visitors to find the information they’re looking for. It should provide added functionality where necessary, such as a reservation system or an online menu (which we’ll cover later on). As long as your website meets these criteria, it’ll be well ahead of the curve, and it should help boost business for your restaurant. The idea of building a website may sound complicated, especially if you don’t have any experience in the field. However, it all comes down to following a series of steps, and restaurant websites are no different. Let’s start from the beginning. The first step to putting together any website is to purchase a domain and find suitable hosting. When it comes to WordPress websites, you’ll want to look for a provider that plays well with the platform. The solution that we always recommend is SiteGround – it’s one place where you can get both the hosting and the domain. All for around $4 / month. SiteGround scored really high ratings in our series of hosting reviews for WordPress. Once, you’ve got them both, you’ll need to install WordPress. Some web hosts will do this for you, but if yours doesn’t, you should be able to set up the platform yourself too. Here’s our guide on that. Now WordPress is ready to go, you’ll need to pick a style for your new website – let’s take a look at how WordPress handles that. WordPress themes are an inherent part of the platform. On top of providing you with unique designs for your website, they also enable you to set up complex pages with ease, and in some cases, implement advanced features. There are thousands of WordPress themes to choose from, but to keep your search simple, we recommend you narrow it to those focusing on restaurants. 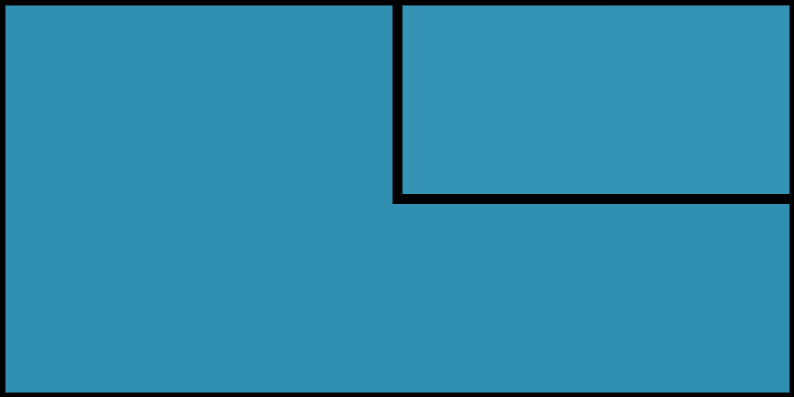 Single-purpose (or ‘niche’) themes are more likely to take the unique considerations of your field of business in mind, and they tend to be easier to deal with than huge multi-purpose options. We’ve previously looked at some of the best restaurant themes available for WordPress. … although you’ll often get a better experience by purchasing a premium theme. 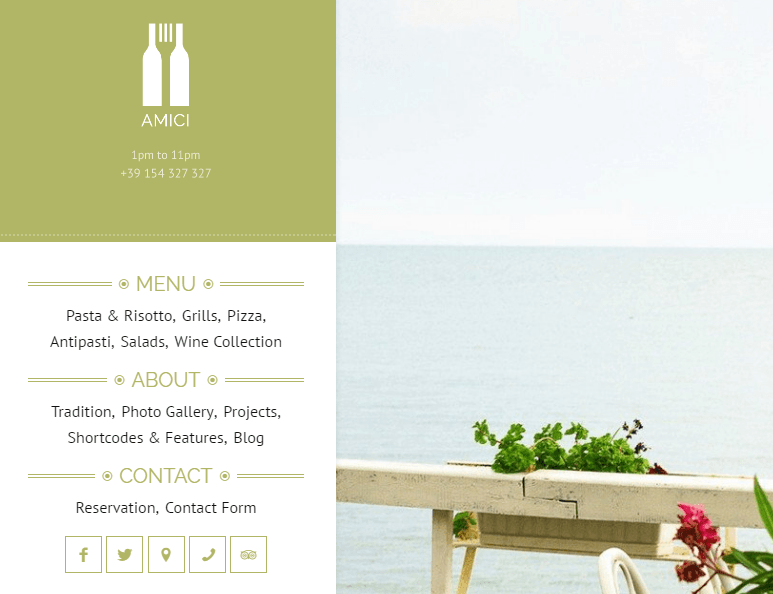 Amici is a high-quality premium WordPress restaurant theme. Once you’ve installed your theme and set it up correctly, you’ll have done the hard part. Just remember to pick carefully, since switching themes can sometimes be a bit of a hassle! Every restaurant needs a sleek menu, and so do their websites. Yours should reflect all of the dishes available at your establishment, and hopefully entice visitors to check you out. A lot of restaurant sites skip on displaying their menus online, so publishing yours may help visitors take you more seriously. The more informative your WordPress restaurant website is, the more useful it’ll be in general. One of the simplest ways to put together an online menu is to use a plugin. WordPress plugins enable you to add advanced functionality to your site – often in a matter of minutes – and they’re easy to install. After installing it, you’ll also need to configure it and get working on your first menu. The plugin’s documentation is comprehensive, and will get you up and running in a flash. A reservation system is one of the most useful features a WordPress restaurant website can have. It enables users to book their tables at any moment from wherever they are, without you having to devote someone to answering phones or emails all day long. Furthermore, online reservation systems often include helpful and time-saving functionality, such as the ability to send reminders to customers. That means anyone who makes a reservation will receive a discreet reminder before the date rolls around, so they don’t forget their booking. Just as with step number three, installing the plugin is simple – but you may want to check out the plugin’s documentation if you need a bit of help configuring it. Creating a stylish (and usable) restaurant website is by no means an easy task, but it’s definitely within the reach of a willing restaurant owner. As long as you understand what makes for a good restaurant website (and you have an idea of which features you want to have), knuckling down and getting the job done will put you ahead of your competitors. Purchase a domain, find suitable hosting, and install WordPress. Find the perfect restaurant theme. Create (and add) a menu for your restaurant. 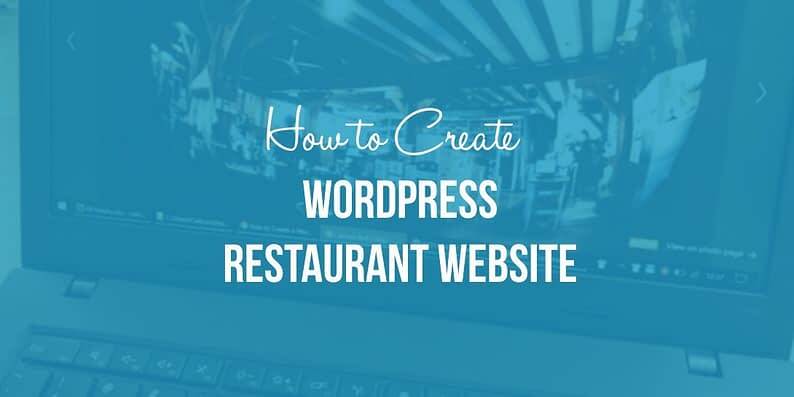 Do you have any questions about how to create a WordPress restaurant website? Fire away in the comments section below!